SunRail ended a lackluster 2015 with very modest gains in ridership during the fourth quarter. SunRail officials even began another round of new advertising last fall in hopes of boosting business riders. But it does not appear to have paid off for Central Florida’s commuter train, as ridership is down to start the new year. According to the January 2016 conductor’s report, SunRail only had an average of 3,318 total riders per day, or about 1,650 round-trip commuters. That count reflects yet another decrease in ridership despite the slight uptick in riders during December, when the train had 3,664 total riders per day. It is also below the total number of riders in October and November, as well as most of last year. One year ago, SunRail boasted an average of 3,789 total boardings per day, according to the January 2015 conductor’s report. Ridership is clearly not moving in the right direction. In addition to the low number of total boardings, SunRail is struggling to sell significant numbers of passes for the train which could indicate a lack of interest from regular commuters in the business community. Last month, SunRail reported only 517 monthly passes were sold, signaling a very small group of regular riders. Looking at other key sales figures, only 246 weekly passes were sold and 319 reloadable SunRail cards were purchased by riders in January. Despite major public commitments from influential business leaders and reassuring comments from local elected officials, something is not adding up. Back in 2014 when the rail service launched, the City of Orlando gave the Orlando Regional Chamber of Commerce $92,000 of taxpayer dollars to buy SunRail tickets and make it look like there was local demand. Even more public funds were shuffled to the Chamber for SunRail when the Orlando Community Redevelopment Agency gave another $50,000 to “promote SunRail” throughout the business community. The Chamber purchased thousands of tickets with the public funds, inflating initial sales numbers. In fact, all the major business players in town were in on the game. The Orlando Regional Realtor Association, Orlando Magic, and other businesses known to show up on elected officials’ campaign contribution disclosures, all made “bulk purchases” of SunRail passes at the time. On top of all this, FDOT spent more money on advertising last fall with nothing to show for it. So where is all the interest now from the business community? SunRail has an even bigger problem than low ridership. SunRail continues to have a revenue-expense problem, and local taxpayers will be on the hook in just a few short years. With Orange County Mayor Teresa Jacobs and Orlando Mayor Buddy Dyer prematurely pushing for expansion and greater SunRail expenses, it should make the community wonder if anyone is actually paying attention to the numbers, looking out for local taxpayers or developing possible solutions to turn SunRail around. 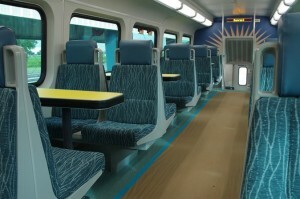 Have you been on SunRail or plan to ride the train as part of your commute? 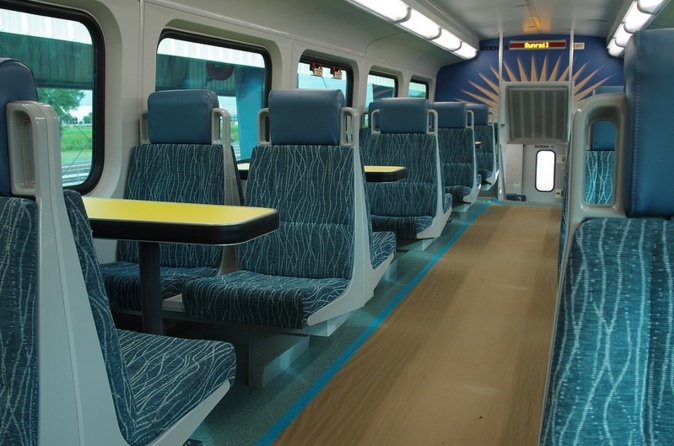 Share your reviews, suggestions or concerns about SunRail in the comments. 15 Responses to "SunRail Ridership Down to Start Year"
Long time reader, always enjoy your transportation pieces and certainly don’t agree with the backdoor salemanship that was done with kicking off SunRail. However, there seems to be a common public misconception about transit being a profit driving source, that’s not it’s purpose and it’s not SunRail’s purpose to make a profit. It’s purpose is to provide an alternate means of transportation that enables greater urban & transportation density, thus easing congestion, but more importantly drive commercial and residential development. Per the article below, $3B of development around the SunRail corridor has been completed, in construction, announced, or in the pipeline. The entire system is supposed to cost $1.28B by 2030 so at this rate the payback is nearly 3:1 and we have MANY years for additional development before 2030. If people are upset SunRail does not make a profit, they should go picket that Osceola Parkway didn’t make a profit last year either and it is a tolled road…. in fact Osceola County had to make amends with Disney/Reedy Creek in 2014 because they couldn’t afford to pay back the debt owed from building Osceola Parkway that WDW helped front…. Yet I don’t see the local news reporting on Osceola Parkway being a “boondoggle” every time county traffic volumes are publicized or “waste of taxpayer money” as they do with SunRail. State/County roads and transit are not there to make a profit, they are there to spur development and growth which in turns makes money via taxes, job growth, and construction….all of which SunRail has accomplished at almost a 3:1 payback thus far. Also, I4 Ultimate WILL charge for the toll lanes to pay-back the costs of construction, but during peak times it will cost drivers $14.20 to travel 21 miles to bypass traffic using the toll lanes, but SunRail costs AT MOST $3.00 to travel that same distance between Orange and Seminole county. Wayne, you raise very valid points and thank you for putting many of them here. I want to be clear, I don’t expect mass transit to have to turn a revenue in order to be considered a success. I was trying to point out the fact that local leaders are not publicly discussing financing options to strengthen the existing rail structure, nor are any local elected officials proposing funding plans to make sure SunRail is not set up to fail when local governments assume control and costs in a few years. In fact, I think a more public discussion on the possibilities of SunRail, and an East-West route that better connected workers and employment as I have previously proposed, would make the likelihood of SunRail’s success more realistic and more intriguing to potential riders to support the system. And the public would have a clearer understanding of the project, phases and challenges, rather than just hearing more spin from elected officials instead. Also, I have called out wasteful road projects before, including the Wekiva Parkway (http://ilikemike.me/why-wekiva-wont-work/) and definitely believe in public transportation (I’ve also routinely called out the lack of city and county investment into Lynx and the lack of a dedicated funding source for the bus system). All of these are critically important to making change happen in Central Florida in terms of transportation and are necessary to help SunRail succeed. Again, you bring up information more people need to consider. In terms of revenue vs. expenses for SunRail, I just would like our local elected officials to be explaining their plans, lobbying publicly and rallying support for dedicated funding sources for the connecting bus systems, more bike trails that actually connect to where people need/want to go when off the trains, and of course stating clearly how the local governments are not only going to pay for SunRail but ensure that funding is available and ready to expand the service so that it is actually appealing to riders. That’s a discussion we should be having right now throughout our community. I wanted to use SunRail but after several failed attempts due to the scheduling I will not try again. The schedule is my biggest concern and no one seems to want to talk about it or improve it. 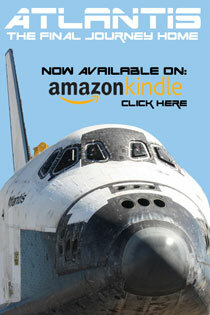 It doesn’t go anywhere! If it went somewhere I needed to go, maybe. It doesn’t. Once you ride SunRail you will need a car to get anywhere you would need to go once you are at the station. You do not need a car …. usually you can walk like in Downtown Orlando and other stops …. OR use the local bus system as you get a FREE one way on a bus with your Sunrail Ticket …. The survey we received on the train last week, will make it even worse. The “new” schedule will cause some of the regular commuters I have ridden with since the beginning to now drive to work. They will be getting into town either way too early (less time with their families) or too late (unhappy employers). We asked the question as to “why” the schedule would have to change and the marketing person and conductors did not have an answer. Might make it easier to swallow if we knew the “why” to the changes. Thanks! The expansion into Osceola county will help tremendously. They are a lot of people who live in Osceola county and work in downtown. The schedule is another sticking point adding on to the fact that there is no weekend trains, I am not surprised. I ride sunrail everyday but will love to use it on the weekends to get across town and to local events which would take me forever to get to via I-4. I’m not a regular rider. My office is only 2 miles from my house. But I have used it a few times: twice for meetings downtown and twice for Orlando City soccer games. Each time the train was full. They have a solid base of daily users but I think they should focus on getting people to try it once just so they are aware of the option it provides. I think weekend service would make it attractive for first-time riders. Extending the service to Kissimmee and to the airport also will make SunRail a more attractive option. They need to put an afternoon train around 3:30pm at Orlando Health/Health Village stations going both ways. You would then catch all the first shift people going home. Also consider lowering the round trip fare to encourage ridership. Maybe even come up with rewards program, this will promote customer loyalty. With gas prices going down its getting cheaper to drive in so you all must remain competitive. I’m an everyday roundtrip rider and love the train, but with my schedule soon to be changing and no earlier 3:30pm northbound health Village train I’ll be forced back I-4. Please fix the schedule!!!! I agree with Nicole. I have been a daily rider since SunRail’s inception. The biggest complain that I hear is the 1st North bound train from downtown is too late for their schedule. These people are not going to wait for nearly an hour and a half for a ride home. I find several problem with SunRail …. One: The schedule is a wreck … too much time waiting for another train in many cases …. 2nd: No nights and week end …. Granted; they need to clear the tracks by midnight ; BUT in the meantime Sunrail needs to service those tracks for nitght use …. 3rd: There are so many events happening on week ends in Central Florida ; like in Winter Park etc ; the ball games etc in Orlando … etc ..BUT: with no SunRail service ; how the heck do we get there ??? Answer: WE Don’T …. We used to ride it to the Solar Bear games, but they took away the late train, so now we have to leave during the third period. This is not good for us so we don’t ride it anymore.